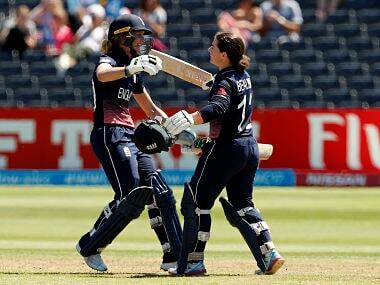 London: Tammy Beaumont and Sarah Taylor's record-breaking stand of 275 laid the foundation for England's 68-run win over South Africa in a Women's World Cup group match at Bristol on Wednesday. The England pair recorded the highest-ever partnership in Women's World Cup history, as well as the highest partnership for England in women's one-day internationals. Beaumont finished with 148, one more than Taylor, whose 147 was her highest-ever one-day score. Taylor's innings was her latest impressive display in a tournament that marks the wicket-keeper's return to international cricket after she took time out to deal with anxiety issues. It was all a far cry for South Africa from their previous match, where they had skittled out the West Indies for just 48. South Africa openers Lizelle Lee (72) and Laura Wolvaardt (67) put on 128 in what was the highest-scoring match in the history of the women's one-day game. But the Proteas were never in the hunt, although they made a game 305 for nine following Chloe Tryon's 54. Victory gave hosts England three wins from four games following their surprise defeat against India in the tournament opener and left them on course for the semi-finals, with the top four at the end of all-play-all group stage in the eight-team tournament going on to the knockout stages. "It was a brilliant day, not a great day to be a bowler but a brilliant game," said England captain Heather Knight. "It was lovely to watch (the partnership), Sarah was outstanding as she was the other day and I'm really pleased for Tammy. "We knew she had a score round the corner, she's been hitting it well in the nets and she was desperate to get into a tournament and she's done it in style." The England duo broke the New Zealand pair of Suzie Bates and Haidee Tiffen's previous World Cup record partnership of 262 with a six from Beaumont before Taylor finally fell by tamely lofting one to South Africa captain Dane van Niekerk at extra cover. "After a while it got a bit long (fielding) but all credit to Tammy and Sarah, they batted really well," said van Niekerk. Wednesday's other matches saw reigning champions Australia and India both make it four wins from four, with the Aussies thrashing Pakistan by 159 runs in Leicester. Ellyse Perry, Elyse Villani and Alyssa Healy all made fifties to help Australia, without injured star batsman and skipper Meg Lanning, recover from 60 for three to set Pakistan a target of 291. Pakistan, yet to win at this tournament, managed just 131 in reply. 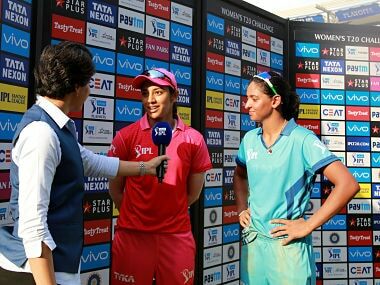 "Ellyse Perry and Rachael Haynes built a crucial partnership after a shaky start so that gave the rest of us a lot of confidence to contribute and we were very happy with our total," said Villani. 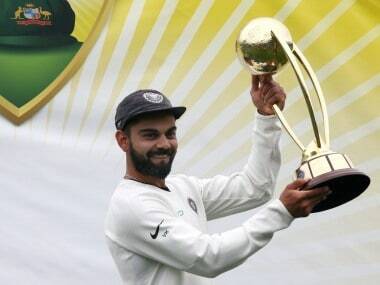 It was a much closer contest at Derby where India defeated Sri Lanka by 16 runs. India captain Mithali Raj (53) and Deepti Sharma (78) shared a decisive 118-run third-wicket partnership in a total of 232 for eight. Jhulan Goswami then struck early in Sri Lanka's reply and not even a well-made fifty from Dilani Manodara was enough to prevent the islanders suffering a fourth straight defeat. "I've always enjoyed batting and stepping up when it's required," said Raj after her 48th ODI half-century.